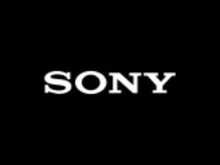 Sony is releasing the “Camera Remote API beta,” API (Application Program Interface) for remote operation of Sony camera with Wi-Fi-equipped smartphones and electronic tablets. The API for application developers of mobile devices is available in the “Camera Remote Apps Developer Program” (http://camera.developer.sony.com)*. API specification, sample codes and related documents required for application development are available for download from the website. Using the app developed with this API, users will be able to shoot still images and movies, see real-time views of camera displays on the screens of smartphones and electronic tablets as well as operate the camera self-timer and zoom functions using mobile devices via Wi-Fi. More models will be added to this list in the future. Developers can utilize the API specifications and related documents in accordance with the application development guidelines listed on the developer’s website, “Camera Remote Apps Developer Program”. Developed applications can be released and distributed in Google Play for Android, or App Store for iOS. Sony will create new opportunities by integrating features of camera and mobile devices to expand the creative possibilities of shooting content using the “Camera Remote Apps Developer Program” where the “Camera Remote API beta” is being released and views regarding development issues can be exchanged. ** HDR-AS15 will become compatible with “Camera Remote API beta” only after software of the main unit is updated to the latest version. *** Cameras compatible with PlayMemories Camera Apps will become compatible with “Camera Remote API beta” only after installation of the most recent Smart Remote Control Ver. 2.00 that will start being distributed on September 26 (local time) from the countries providing PlayMemories Camera Apps. For countries providing PlayMemories Camera Apps, see the official website (http://www.sony.net/pmca/info/).